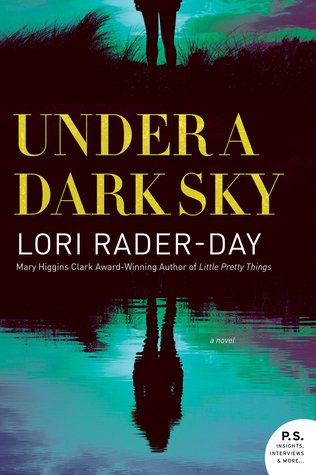 LORI RADER-DAY, author of Under a Dark Sky, The Day I Died, The Black Hour, and Little Pretty Things, is the recipient of the 2016 Mary Higgins Clark Award and the 2015 Anthony Award for Best First Novel. Loris short fiction has appeared in Ellery Queen Mystery Magazine, Time Out Chicago, Good Housekeeping, and others. She lives in Chicago, where she is the co-chair of the mystery reader conference Murder and Mayhem in Chicago. Visit her at LoriRaderDay.com.